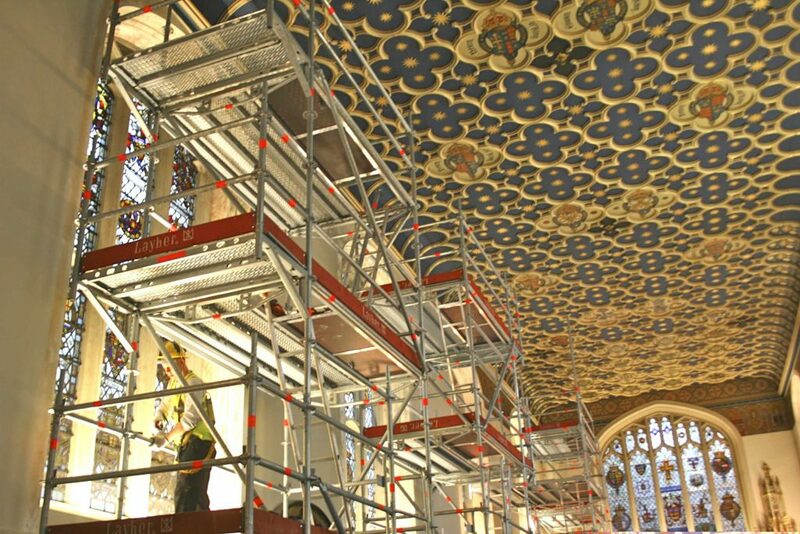 Key design features of Layher scaffolding have played a significant role during refurbishment work at the Queen’s Chapel of The Savoy in London. 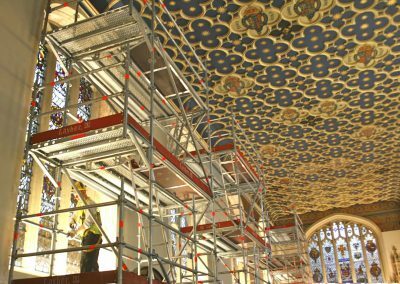 Four towers were created using Layher Allround®, which could be rapidly disassembled and re-erected when required – the presence of fixed pews and seats preventing the use of a rolling tower. The smaller size of Layher components also helped minimise unnecessary risk that could have arisen from handling larger tubes – crucial in such a unique and valuable environment. (Image owned and kindly provided by the Duchy of Lancaster).